On 25 July 2018 (C-129/17), the CJEU decided that de-branding and rebranding of goods prior to any trade within the EEA without the trademark proprietor’s consent constituted ‘use in the course of trade’ of the originally affixed trademark and could, therefore, be prohibited by the proprietor of that mark. The judgment broadens the concept of ‘(infringing) trademark use’ based on, particularly, the advertisement and investment functions of trademarks, and emphasizes the interest of trademark owners in controlling the first placing of their goods on the EEA market. Background: The defendants imported Mitsubishi forklift trucks from outside the EEA and placed them under a customs warehousing procedure. Following that, they removed the Mitsubishi trademarks, affixed new signs and made the necessary modifications for the products to comply with EU standards, all of this without Mitsubishi’s consent. Mitsubishi’s request for an injunction was unsuccessful before the Brussels Commercial Court. In the appeal proceedings, Mitsubishi claimed that de-branding, rebranding and subsequent placement in the EU infringed its EU trademark rights. The defendants argued that the goods were imported into the EEA only after Mitsubishi’s marks had been removed. The Brussels Court of Appeal asked the CJEU for guidance as to whether de-branding and rebranding of goods placed in a customs warehouse and before import into the EEA could be opposed by the trademark owner. Comment: The Attorney General had concluded that de-branding was not ‘use in the course of trade’ as the goods had not been placed on the market within the EEA and was therefore not actionable. The CJEU saw this differently. Previously, the CJEU had held that the mere entry in the EU of goods being under the external transit procedure or customs warehousing procedure could not be opposed unless there were facts which would prohibit such entry (see C-405/03 – Class International). The revised EU trademark law has addressed this, making goods in transit in principle actionable. However, there is no such rule relating to goods under warehousing procedures. With that in mind it is remarkable that the Court holds that infringing acts carried out while the goods were in the warehousing procedure are actionable. The real issue, however, lies in de-branding being considered ‘use in the course of trade’. That term has now been read as being any act that is likely to affect the functions of a trademark. The Court considered that the defendants’ actions affected the trademark’s functions of origin, investment and advertising, because it deprived the trademark proprietor from controlling the first placing of goods bearing Mitsubishi marks on the EU market. 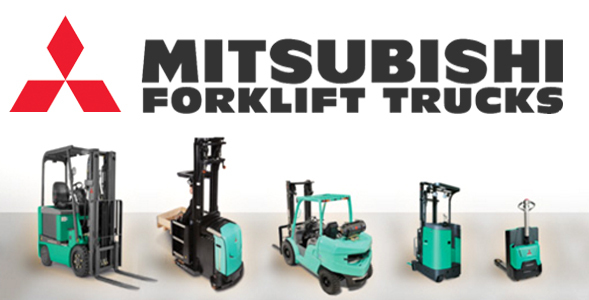 The Court went even further and declared that the essential function of the mark may be harmed even if the consumers did not recognize the forklift trucks as belonging to Mitsubishi. The courts in some EU Member States, notably Germany, have consistently considered debranding not to be trademark use (but potentially actionable under unfair competition rules). It is indeed hard to construe how taking off somebody’s mark and then selling the goods under a different mark can be use of the mark for the goods in the marketplace. In the earlier Portakabin case, the trader who had de-branded the original goods was still using the plaintiff’s mark, albeit as an AdWord (C-558/08, para. 86). However, already in Boehringer Ingelheim v. Swingward (C348/04, paras. 29, 32, 45), the CJEU held that de-branding was liable to damage the reputation of the original mark. Here now, the Court placed specific emphasis on the interest on the part of trademark owners to control the first placement on the market of ’goods bearing the mark’ within the EU (or EEA), expanding this to situations where the goods no longer actually bear the mark. The ‘real’ nature of the claim still seems to lie in unfair competition. The Court actually expressly says that one of the roles of trademarks is to serve ‘undistorted competition’ (para. 35). However, trademark infringement has the advantage of being a matter of harmonized (or, in the case of an EUTM, unitary) law, while unfair competition invariably results in a patchwork of rights. Therefore, while difficult to reconcile with the letter of the law and the concept of trademark ‘use’, the judgment is good news for trademark owners.